A leading member of the New Patriotic Party (NPP) Michael Omari Wadie has called on Samuel Okudzeto Ablakwa, a deputy Minister of Information to be humble enough and admit that he benefited from key NPP members when he was a student at the University of Ghana Legon. Mr Omari Wadie, a former Chairman of the Ayawaso West Wugon Constituency who made the call claimed he personally led Mr. Ablakwa to solicit for funds from some NPP ministers and sympathizers when the deputy minister was vying to become the President of the National Union of Ghana Students (NUGS). 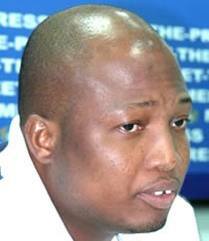 The former NPP chairman stormed the offices of Daily Guide in Accra yesterday to protest what he called “Mr. Ablakwa’s lies”. The former NPP Chairman mentioned former Ministers like Kwadwo Okyere Mpiani, Francis Poku, Dan Botwe, O.B. Amoah, and the late Kwasi Ankamah, MP for Atiwa as some of the NPP stalwarts that supported Mr. Ablakwa financially to become NUGS President. Other NPP members mentioned included Paul Afoko, Steven Amoah, Adu Gyamfi; one Amoakohene who he said printed Mr. Ablakwa’s posters and gave some money.